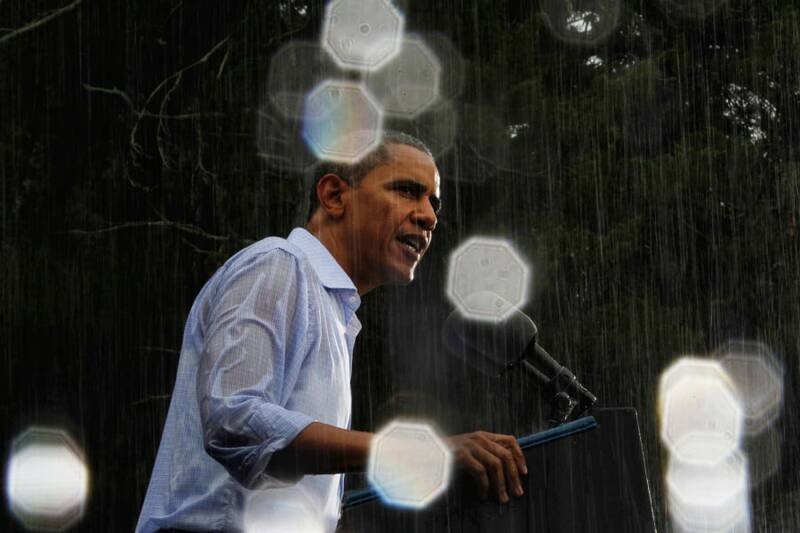 U.S. President Barack Obama is pictured during a heavy rain storm at a campaign rally in Glen Allen, Virginia, July 14. 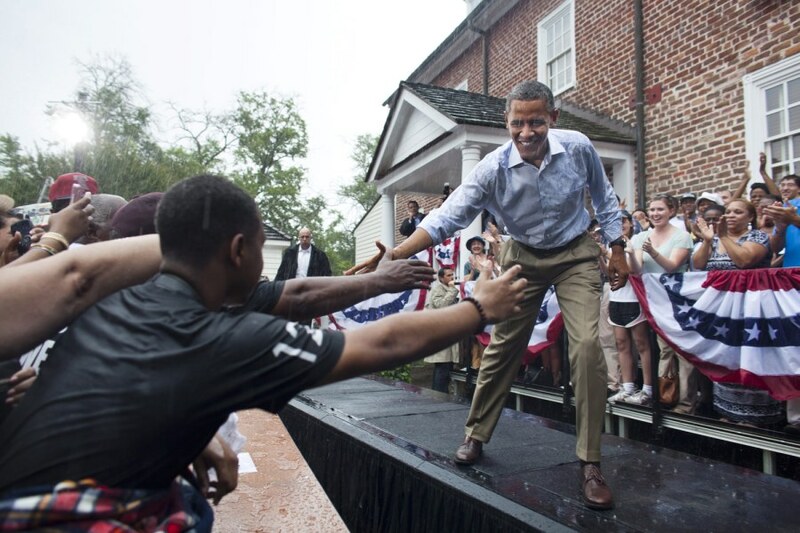 Obama traveled to Virginia on Saturday for campaign events. Rain drops on the front of the lens produced octagonal shapes in the image. 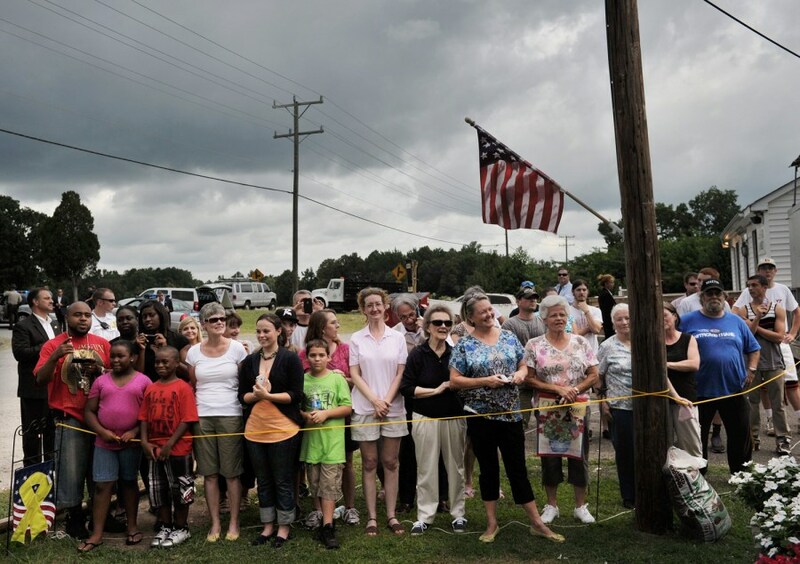 Under an overcast sky, onlookers watch as US President Barack Obama stops at Berry's Produce on July 14, in Mechanicsville, Virginia. 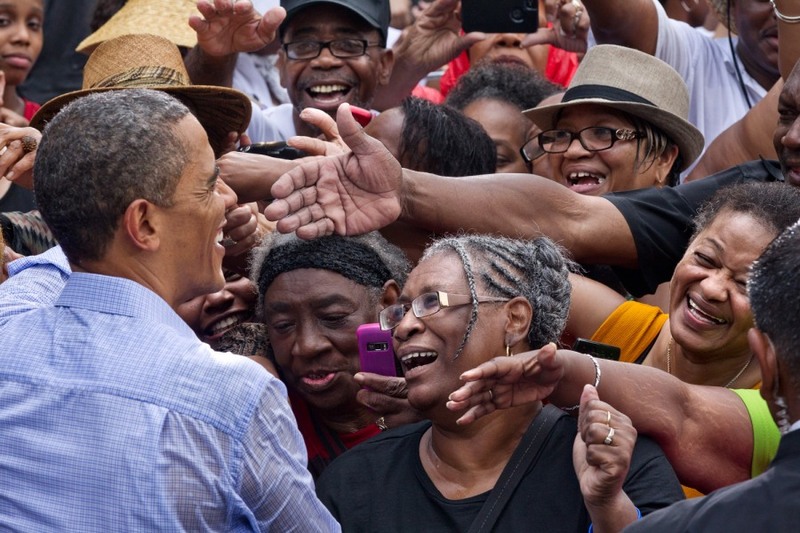 Obama is campaigning in Virginia for the second straight day ahead of the November presidential election. Shawna Thomas, NBC News -- GLENN ALLEN, VA -- In a soaking wet blue shirt, President Barack Obama delivered almost his entire stump speech Saturday to an enthusiastic audience that had waited through a downpour to see him speak in a town outside of Richmond. The president apologized early in the speech for messing up the hairdos of women in the audience. “We’re going to have to treat everybody for a little salon, hair visit after this,” he joked as the rain fell. U.S. President Barack Obama wipes water off his face during a rain shower at a campaign rally in Glen Allen, Virginia, July 14. 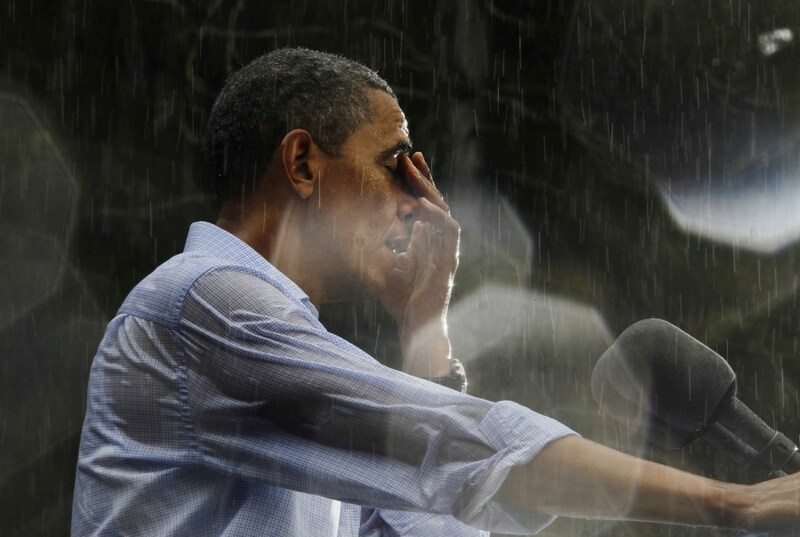 President Barack Obama campaigns during the pouring rain at the historic Walkerton Tavern & Gardens in Glen Allen, Va., near Richmond, on July 14. US President Barack Obama arrives at a campaign rally in pouring rain outside the Walkerton Tavern in Glen Allen, Virginia, on July 14.